Parental controls on children’ phones and tablets are not necessarily the same as ‘spying’ on what they do and see. Many simple, non-invasive controls exist that are necessary to keep your children safe – and make sure they don’t stay up on social media until 3am on a school night! 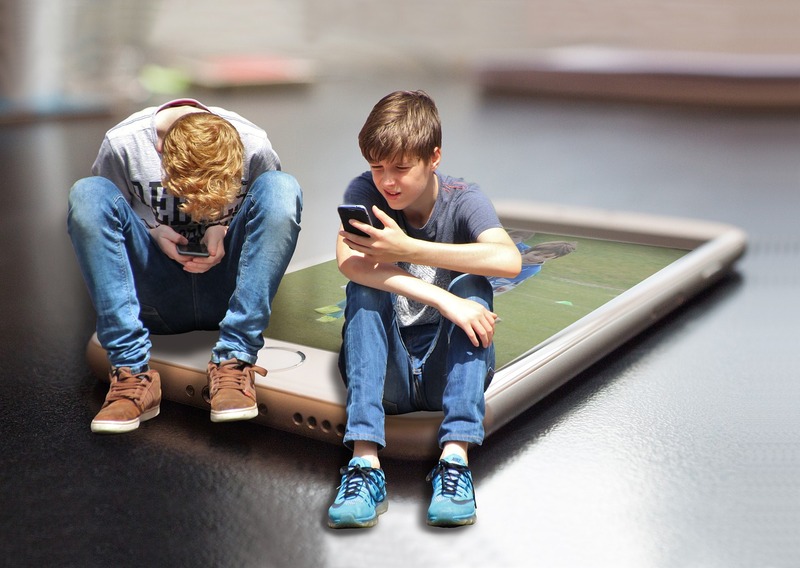 If you choose to let your kids have or use smartphones you can easily set up browsing time limits, content blocks, spending controls (in case of accidental in-app purchases) and other parental controls to keep your kids safe online with very little ongoing time needed. Here are some tips to get started. The ‘Restrictions’ features on iPhones and iPads are comprehensive and pretty easy to use – there’s a step-by-step explanation here. If your kids are tech-savvy enough to just switch your controls off, don’t forget to set a pin code on these features so only you can access them! Android phones also have pin-protected ‘Parental Controls’ in the Play Store that limit what your child can see to age-appropriate content. You can do this directly from their phone like this, or use the Google ‘Family Link‘ companion app, which works between Android and iPhones, to allow you to monitor from your own device. Family Link will let you set screentime limits and set a ‘bedtime’ too. It’s easy to research which apps and games are safe for children before downloading. However, some content or search driven apps are harder to regulate – although many big companies are now releasing ‘Kid Friendly’ versions of their classic apps. YouTube Kids for example is a version of YouTube that only allows strictly child-friendly content to get through its filters. For tight control over children’s devices, an app like Qustodio might be what you need. You download the app onto both the parent and the children’s devices to monitor activity from the parent’s phone or tablet. Set up call- and text-tracking, screen-time limits, a location-sharing ‘panic button’ in case your kids get into trouble, and monitor how long is spent on social media. There’s a free version of the app, but you can upgrade to get all features. There are also other parental control apps available to test and research – just search on Google or your phone’s app store to find one that fits your needs. If you’re looking for mobile packages or contracts in Spain, Telitec can help. Fill out the ‘Tell Me More’ form on this site and we’ll get in touch to discuss our full range of packages and contracts.